Entry Fee is $35/rider for the Circuit races and $15/rider for Time Trial. Same-day additional race $15. Kids (9 & Under) race FREE. One-day race licenses can be purchased for $10. $5 late fee per race day. 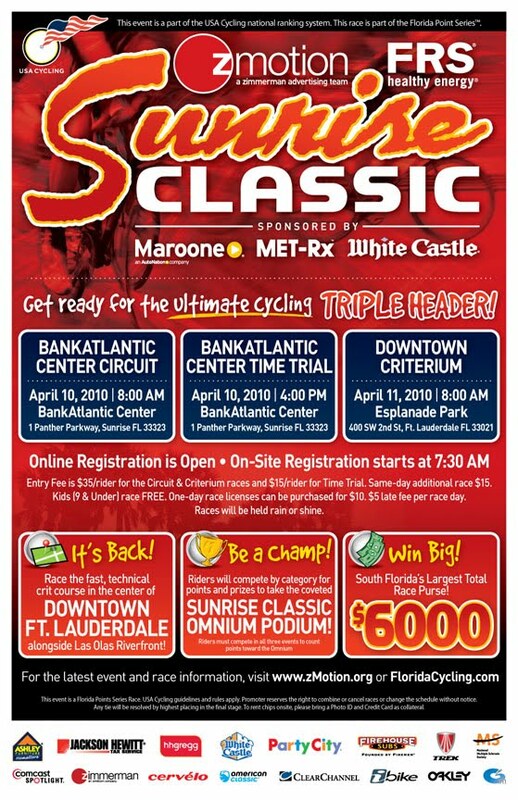 Races will be held rain or shine. For additional information visit zMotion.